… of giving! This year, Brunette Machinery and Murray Latta Progressive Machine have joined forces to collect non-perishable food items for our local food bank. Our decision to hold this charitable event was inspired by an article we read online about an Advent-themed food drive challenge that was run during the four weeks before Christmas. We came up with a variation of this idea — a four week run with a different weekly “meal theme” and a one week “Baby Item” theme for a total collection period of five weeks. 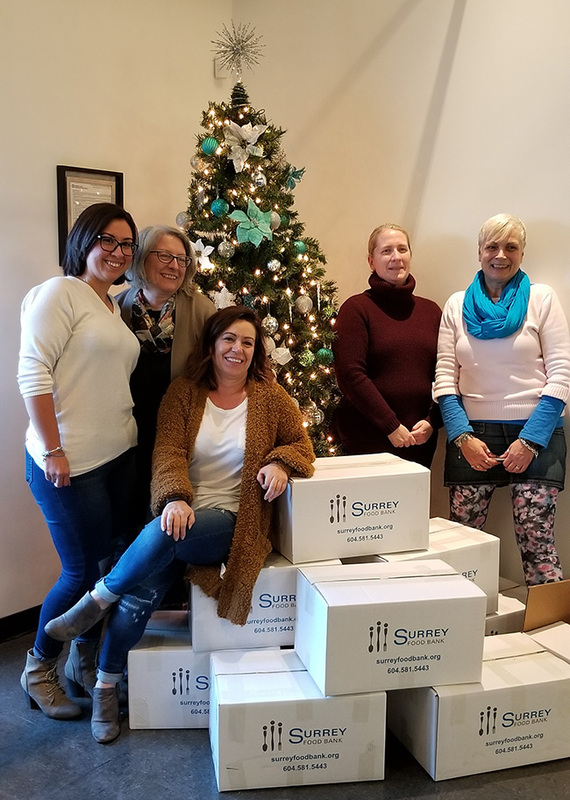 We started off our first week on November 19th, with a “Breakfast” theme and saw bags of oatmeal; boxes of pancake mix; packages of dry cereal and granola; jars of peanut butter; and tetra packs of juice start to fill up the donation boxes. We are just over the halfway point and so far, we have filled 10 donation boxes! We have collected cans, boxes and cartons of non-perishable items for Breakfast, Lunch and Dinner! As our donation boxes continue to fill up each week, we are gladdened to see the kind-hearted and generous spirit of our office and shop staff. As we near the completion of our food drive, we are happy in the knowledge that we are making a difference by helping to feed vulnerable people in our community.